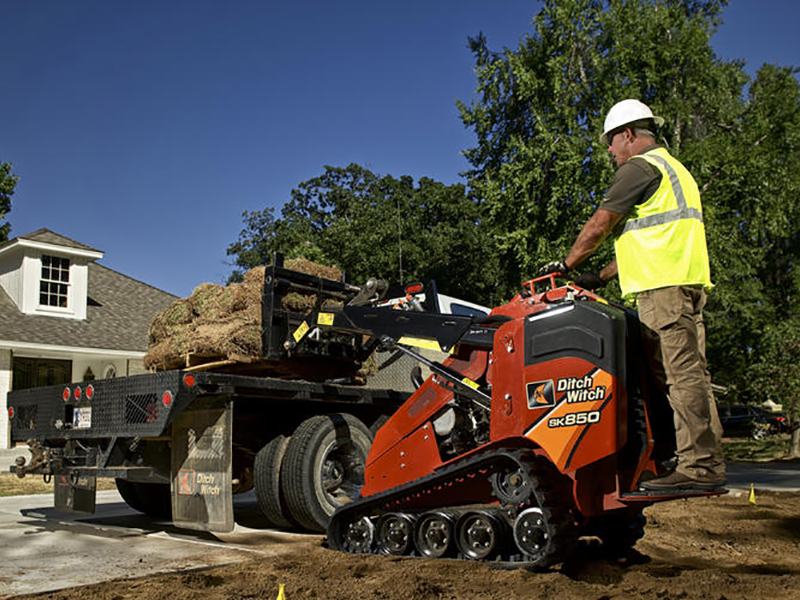 The ultra-compact, ultra-powerful SK350 compact tool carrier features a 20-hp Kohler engine and an 11 gpm dual hydrostatic ground drive that gives it the same capabilities of larger compact loaders. 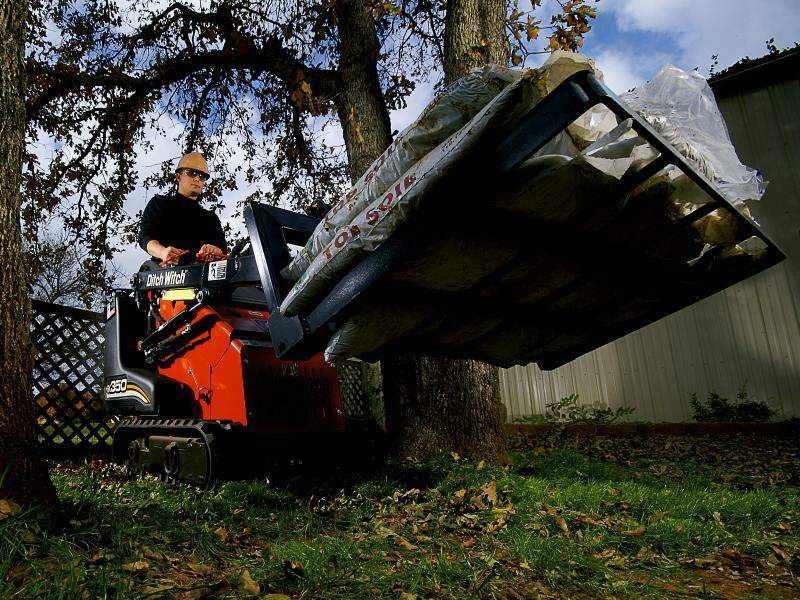 With the SK350’s comfortable stand-on platform freeing you from trudging through mud and debris and over uneven terrain, you’ll be better able to witness how productive this amazing rubber track loader can be. 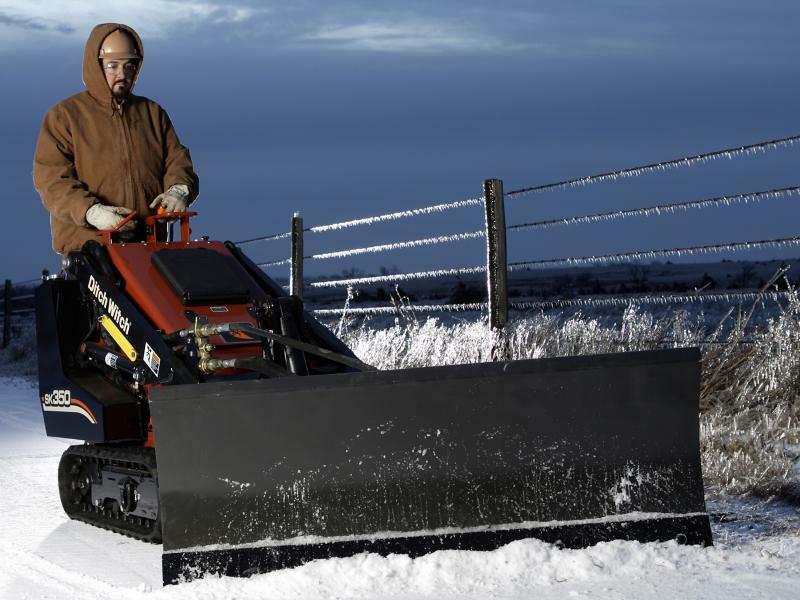 7.5-gallon fuel tank provides up to 5 hours of operation, so you can finish most jobs without refueling. Greater lift and dump heights than the competition’s, so the SK350 can dump into vehicles that others can’t, increasing its versatility. 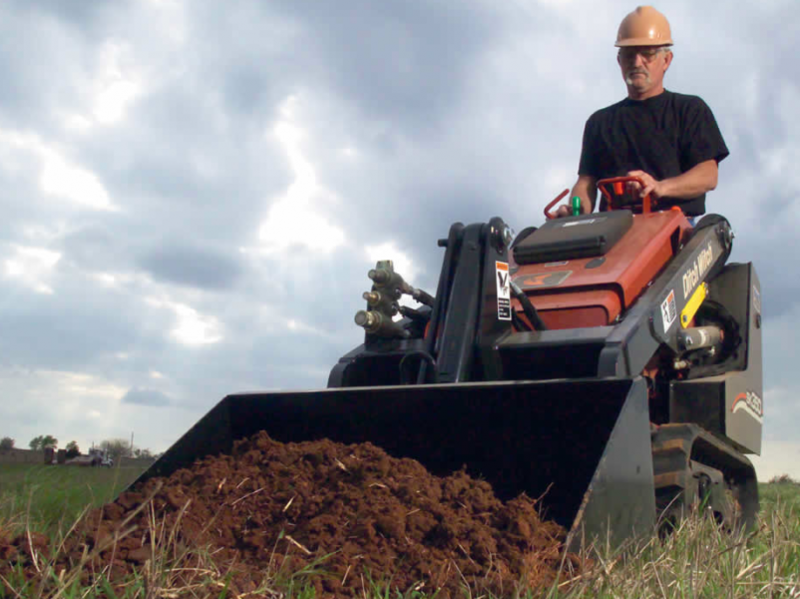 Drives more than 70 compact utility attachments. Auxiliary valve contains a float section for better performance of attachments that follow the contour of the ground. Highly responsive steering with little or no vibration feedback, increasing operator comfort and productivity. 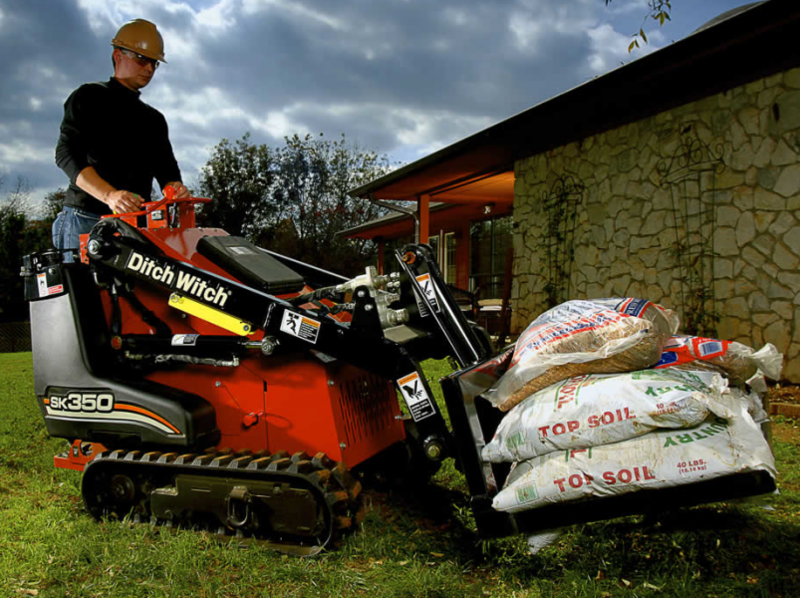 Equipped with quick-disconnect manifold so attachments can be changed without shutting off the machine. 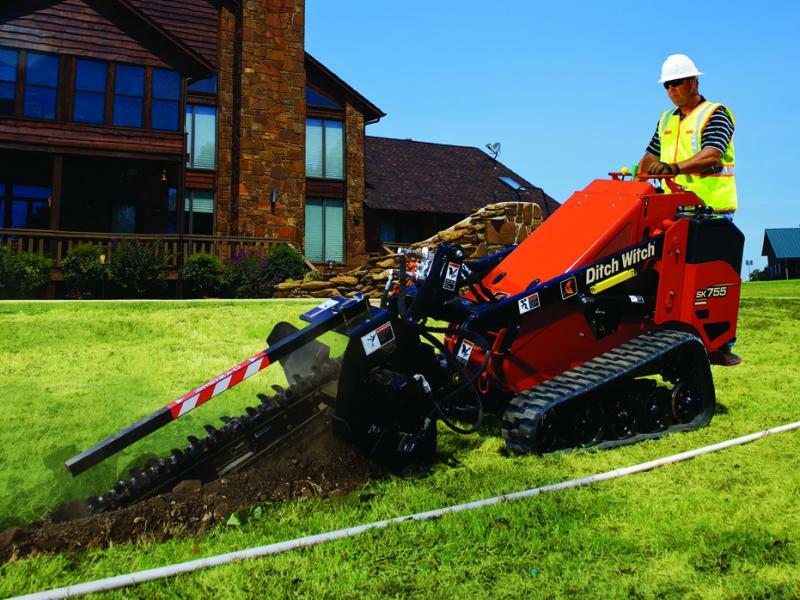 Available with choice of aggressive tracks for better traction or turf-friendly tracks for reduced jobsite restoration. Exterior-mounted gas and hydraulic tanks allow you to refuel or add hydraulic fluid without raising the hood.